New employees face a variety of life and career transitions in early adulthood. This paper explores these transitions that shape personal and career identity. A supervisor can play a central role in facilitating employee development during these times but may be unwilling or ill-prepared to do so. At other times he/she may provide assistance that is unwanted and inappropriate to the employee's developmental needs. 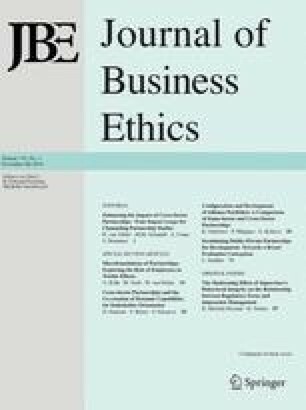 The paper develops a framework for examining the supervisor's ethical responsibility to facilitate employee development and provides guidelines for managing these transitions. 1.Robert B. Pamplin Jr. School of Business AdministrationUniversity of PortlandPortlandU.S.A.